CGAxis Models Volume 70 Supermarket IV is a collection containing 26 high polygon 3d models of supermarket equipement. 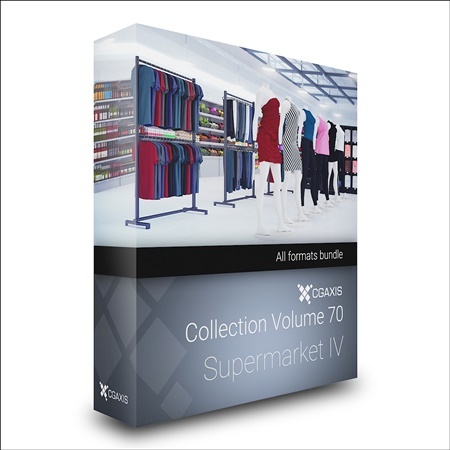 CGAxis Models Volume 70 is a collection containing 26 high polygon 3d models of supermarket equipement: market shelves with various products, clothes on hangers, store mannequins with dresses, shoe wall shelves, cash registers and market display screens. Models are mapped and have materials and textures. Compatible with 3ds max 2010 or higher, Cinema 4D R11, Maya 2011 or higher and many others.